From left: Russell Bush, Gary Oyster, Doris Wenger and Judge Michael Dionise. 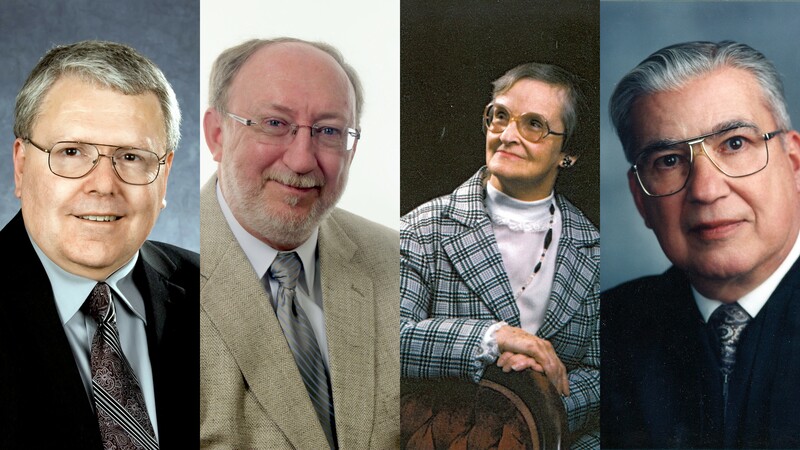 Four Lapeer Community Schools alumni will be honored at a ceremony at Lapeer East High school at 3 p.m. on November 6th as part of the annual Distinguished Alumni Hall of Honor ceremony. All of our honorees have distinguished themselves as tremendous stewards of the education and training they received from Lapeer Community Schools; they are role models for our students and accomplished leaders in their respective communities. The ceremony, held in the auditorium at Lapeer East, is free and open to the public. Light refreshments will be served.